And it's tweaking the Insider feedback program as a result. Last week the October 2018 update for Windows 10 had barely arrived before Microsoft was forced to pause its rollout, as a few users complained of missing files. Now Microsoft says it has identified and fixed the problem, which was related to a feature called "Known Folder Redirection (KFR)" and an attempt to remove extra duplicate folders that could cause lost files in three specific scenarios. It isn't ready to begin delivering the fixed 1809 update to most users yet (a test version is rolling out to its Slow and Release preview rings first), but a change that's already noticeable is in its Windows Insider Feedback Hub. 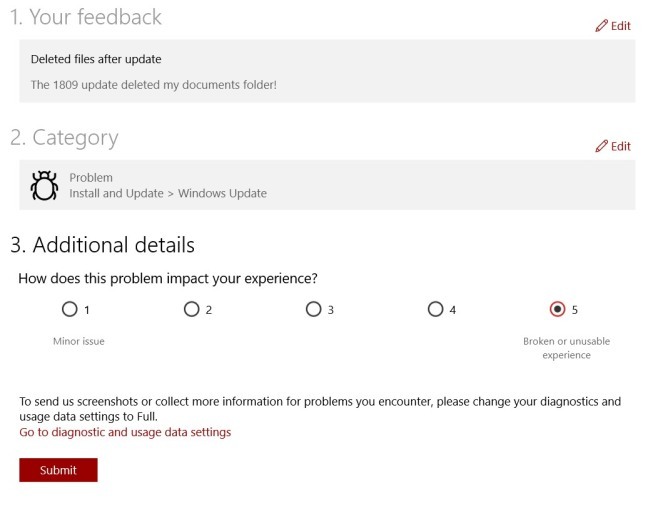 While Microsoft maintains that the number of users impacted by the problem was small ("one one-hundredth of one percent") the severity of the bug meant it deserved attention even if only a few people saw it. Now users can include a note about impact and severity when they're reporting something in the feedback hub, so that the test team isn't just flooded with fan requests for a hotly-discussed feature when a more major issue is going unnoticed. 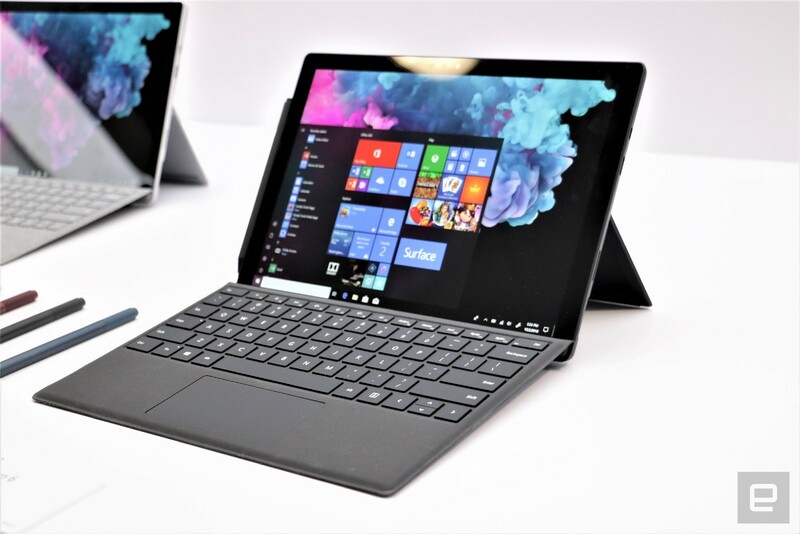 Anyone who is still missing data after installing the original update can contact Microsoft support or go to one of its retail stores where they can attempt to recover lost files.